As a dedicated job seeker, you’ve probably spent hours writing, tailoring and blasting your perfectly polished resume. You’re confident you have done everything right: The flawless document is confined to one page; includes a clear objective; and lists a plethora of soft skills. But as it turns out, contrary to popular belief, those features don’t necessarily make for an ideal resume. Myth: You must reference references. “While references will likely matter further into the interview process, noting on your resume that ‘references are available upon request’ will not make your resume stand out,” says Jacob Bollinger, lead data scientist at Bright.com, an employment site with more than 2.5 million job listings. 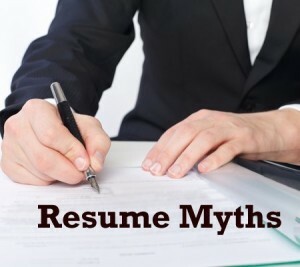 Myth: You must keep your resume to one page. Not true! “Page count is not as important as the number of words on the page,” Bollinger says. “The number of words actually affected recruiters in a bell curve manner. So what’s the magic word count that keeps recruiters reading (aside from your work experience)? About 390 words per page.